This exquisitely upgraded home awaits in Thunderbird Heights. 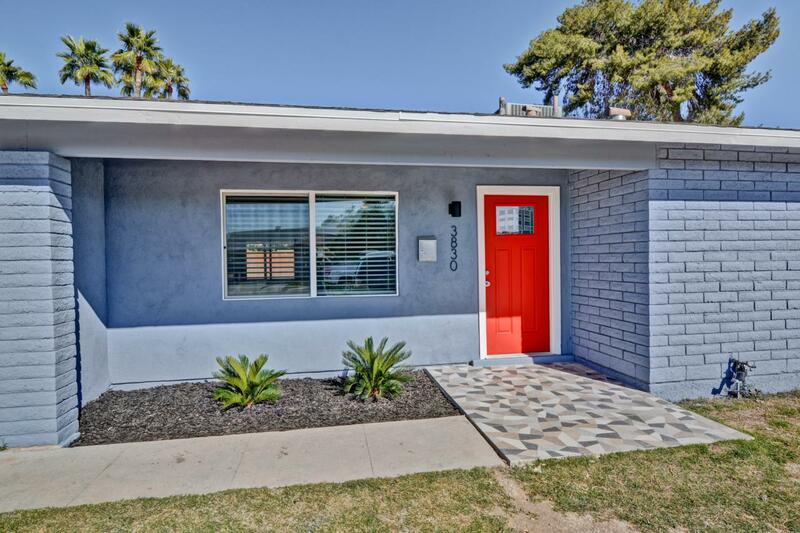 Incredibly bright, airy, and spacious, you will love the open floor plan and beautifully upgraded kitchen. 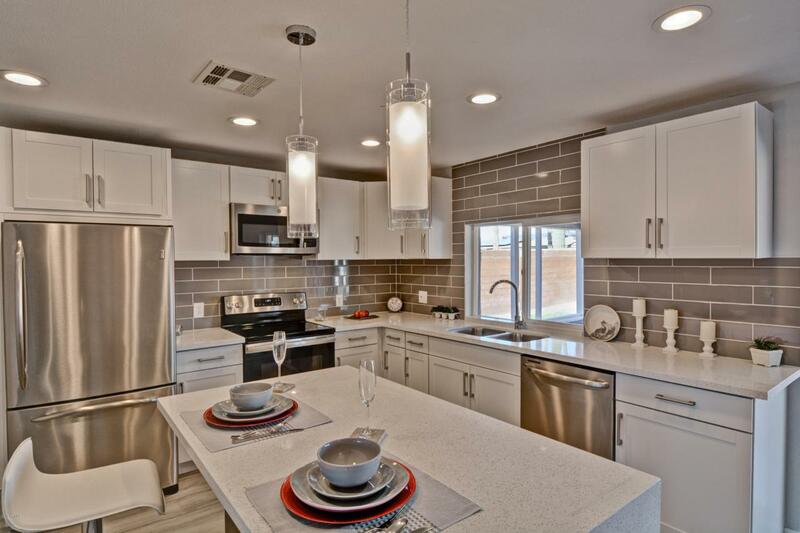 The kitchen boasts all new cabinets and countertops. The kitchen island has a waterfall design that accommodates pedestal seats. 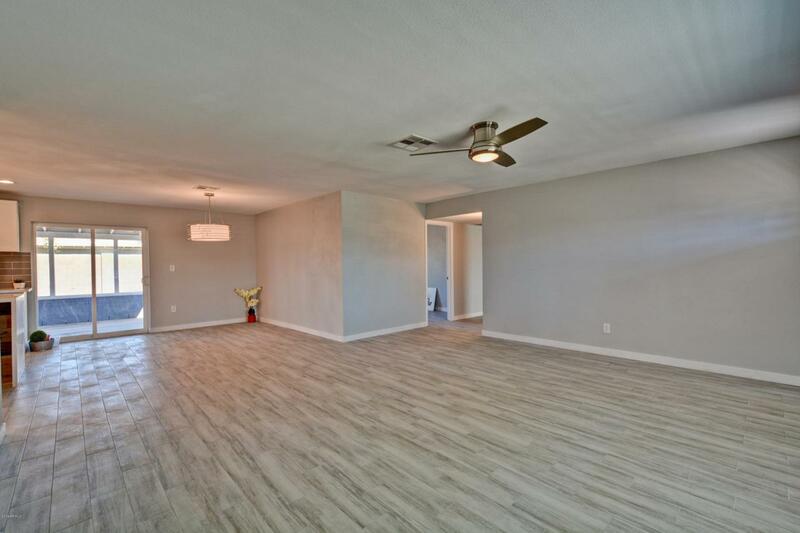 Brand new tile floors create a wonderful flow throughout the home. Both baths have been completely upgraded with new cabinets and fixtures. The newly-tiled master bath shower has a beautiful new shower door and complements the tiling in the hall bath. 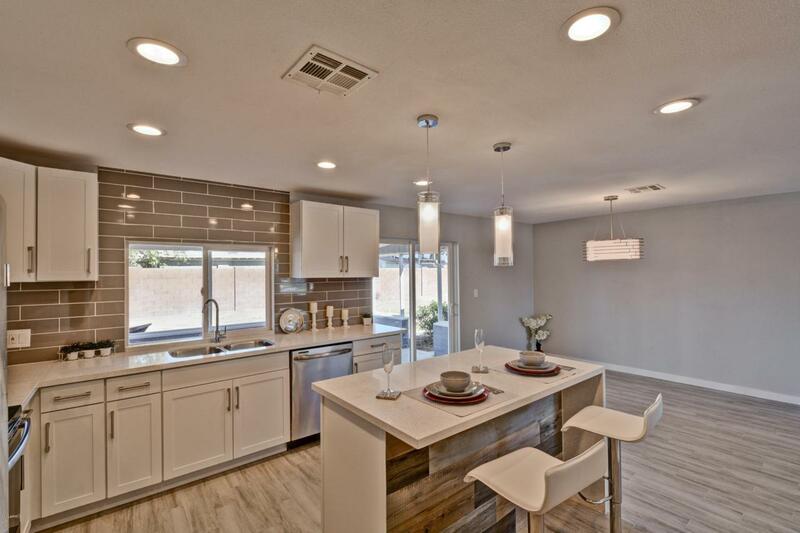 New fans and modern lighting fixtures located throughout. Expansive front yard awaits your touch. Large back yard for relaxing and entertaining. The covered back patio provides shade from the summer sun and helps keep the interior cooler. Come see!